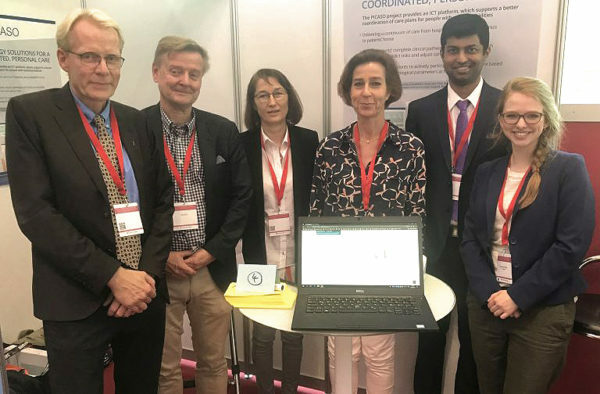 CNet presented in Cooperation with the Heinrich-Heine-University Düsseldorf and the University Clinic Düsseldorf and Fraunhofer the clinician and patient dashboard of PICASO at the 46th DGRh – German Society for Rheumatology Congress on 19th to 22nd September 2018 in Mannheim. Attending Rheumatologists could learn about the details of the PICASO solution and test the prototypes. The attending audience mostly appreciated the value of the applications to improve the integrated care of patients and the mobile solutions to monitor and provide a complete health status overview of the patient. As integrated care is still in its infancy, a lively exchange with clinicians regarding the usability and applicability of the solutions happened during the Congress. Issues discussed were suggestions for additional features and improvements, as well as challenges with increasing amounts of available patient information. IT-platforms like PICASO can serve as valuable clinical decision support to minimise the effort to asses all available information about a patient. Grain Cloud was in June nominated for the Elmia Lantbruk Innovation Award. 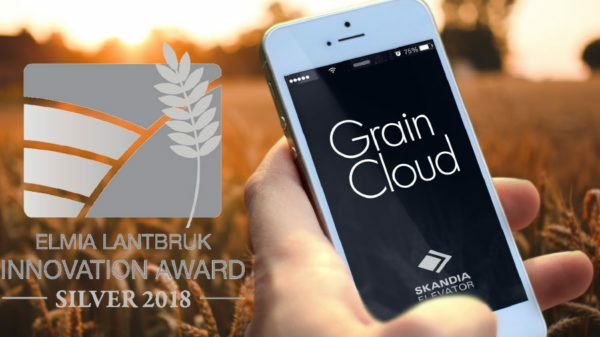 The nominated product Grain Cloud, which has been developed by CNet together with our customer Skandia Elevator, is a smart farming app and cloud service that collects information from the grain management system. It shows, among other things, the transport systems and machines that are running, estimated drying times and keeps track of the inventory in several silos. The app sends alerts if there is a downtime in the drying process, machine failure and in need of service. In September Grain Cloud was honored with the Elmia Silver award 2018 for its innovation. The Elmia Agricultural Innovation Award seeks to honor innovative agriculture and agricultural production technologies. The selected products receiving the award are considered to provide a contribution to the development of Swedish agriculture and inspiration for the continued development of the industry.